New luxury, award winning hotel. 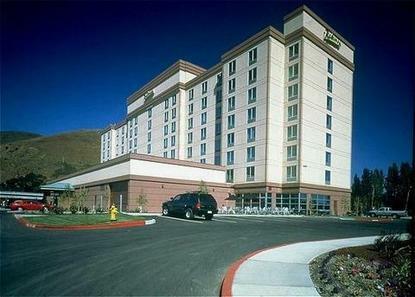 Located 2.5 miles from the San Francisco Airport and just minutes from downtown. Property features 210 contemporary rooms and suites including a premium corporate level that offers exclusive secured access. Magnificent view of San Francisco Bay. The hotel offers complimentary shuttle to and from the Airport, free parking, high speed internet access in all rooms at no additional charge, state of the art fitness center, indoor swimming pool and whirlpool, business center, flexible meeting space, and full service restaurant.